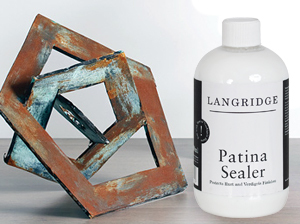 Langridge Rust & Verdigris Decorative Finishes give artworks a genuine antique metal finish look without the wait. Suitable for both interior and exterior use. These finishes can be applied to a range of surfaces including: Magiclay, wood, metal, plaster, foam core, polystyrene and bisque fired clay. Do not apply to architectural structural elements (i.e. house, classroom and verandah beams, frames, railings and poles). Application is a two part process. 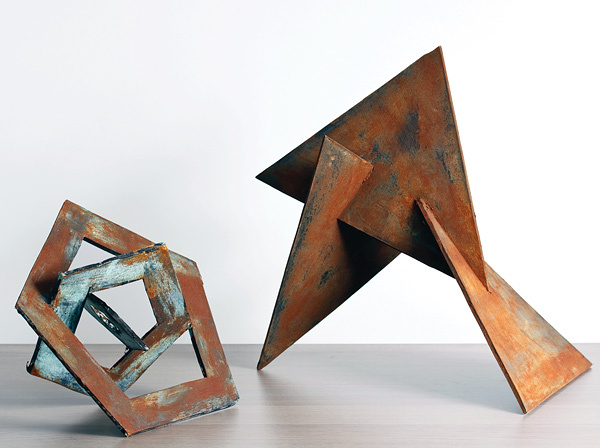 The first part is the application of the Rust or Verdigris Base to a surface. Part B is the Patina Oxidization process. Porous surfaces such as wood, bisque fired clay or plaster will need to be first sealed with Atelier Binder Medium (PT304). For metal surfaces, an anti-rust primer is recommended. 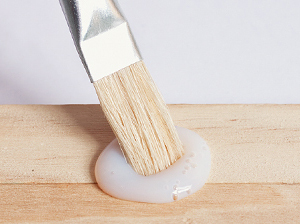 Make sure the sealer has fully dried before proceeding to the next step. 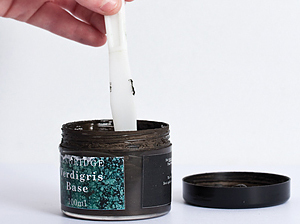 Stir the Rust or Verdigris Base using a palette knife, making sure to reach the bottom of the container where metal powders may have settled. Using a clean spoon, scoop a small amount of the Base on to a palette. It’s very important not to contaminate the Base container. Make sure the threads of the container and the lid are clean before replacing lid. Always store jar upright. 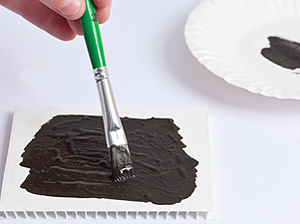 Using a brush, apply two coats of the base on to the surface – allowing the first coat to fully dry first. Use large brush strokes to create natural and textured results. Wash up brushes and tools with warm soapy water. Do not let paint dry on equipment. Decant a small amount of the Oxidising Patina into a small container. Add more Patina as needed. 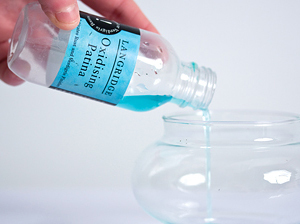 Do not pour excess Patina liquid back into the original container as this will contaminate the Patina. 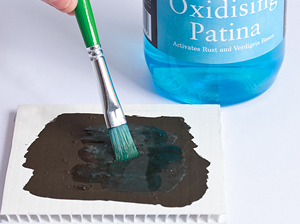 Use an old brush to apply the Oxidising Patina. The Patina may corrode the metal ferrules of the brush so make sure to clean up quickly after application. 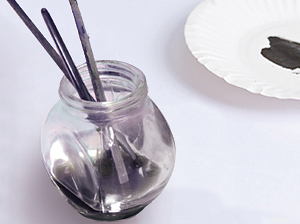 NB: While a brush is recommended to apply the Oxidising Patina, it is also great to experiment with pouring, sponging or spattering techniques. Allow oxidation time to occur. The reaction can be stopped at any time by applying water to the surface of the object with a wet paper towel or sponge. 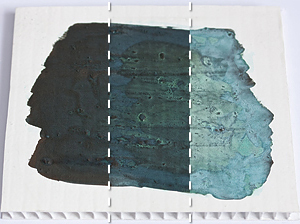 If the work is to be displayed outdoors, seal with Patina Sealer. Water-based acrylic-styrene binder gives the paint excellent weather resistance in outdoor situations.